"People need to be the center of our foreign policy thinking." 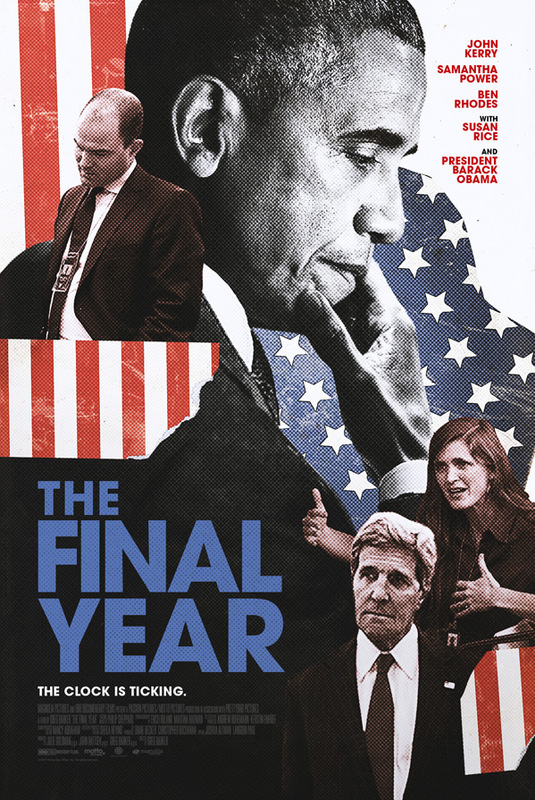 Magnolia Pictures has unveiled an official trailer for Greg Barker's new documentary The Final Year, which profiles the last year of Obama's two-term presidency. The documentary team follows Obama's foreign policy team as thy coordinate and discuss global politics with the President, attempting to achieve some major goals in the last year (before it all gets undone ugh). This is an outstanding documentary (in many ways) that I recently saw at the IDFA Documentary Film Festival in Amsterdam, and I kind of loved it. There's some great editing and music, but it's also just a refreshing look at extremely passionate, determined, hard-working people who just want to make the world a more peaceful, better, safer, healthier place and gave everything to do that. Don't skip this. The Final Year gives a look at the inner workings of the Obama administration as they prepare to establish a legacy upon leaving office after eight years. The film revolves around Obama's foreign policy team: Secretary of State John Kerry, US Ambassador to the United Nations Samantha Power, Deputy National Security Adviser and presidential confidant Ben Rhodes, as well as National Security Adviser Susan Rice and President Obama himself. Over the course of 2016, they travel the world attempting to advance and solidify policies that they believe will define their legacy, promote diplomacy over large-scale military action, and fundamentally alter how the US government confronts questions of war and peace, as they prepare to hand over the machinery of American power to a new administration. The Final Year is directed by American doc filmmaker Greg Barker, of the docs Sergio, Koran by Heart, The Thread, We Are the Giant, and Legion of Brothers previously. This first premiered at the Toronto and London Film Festivals, and also played at IDFA in Amsterdam. Magnolia will release The Final Year in select US theaters starting January 19th, 2018 at the very start on next year. Who's interested in seeing this documentary?